You’re probably wondering: What’s the secret to his success? Wonder no more. Learn from the best. When it comes to Gatorade ambassadors, Scottie looks up to the one and only, Michael Jordan, whose passion for the game and resilience amid challenges inspire future stars like Scottie. And just like Jordan, Scottie is well on his way to defying odds and setting records. In a Game 3 win versus San Miguel Beermen during the 2016 PBA Governor’s Cup, Scottie tallied a triple-double with 12 points, 11 rebounds, and 10 assists. This was the first time a rookie has done the feat since Johnny “The Flying A” Abarrientos, the shortest player (at 5”7) to win PBA MVP, did so 23 years ago. 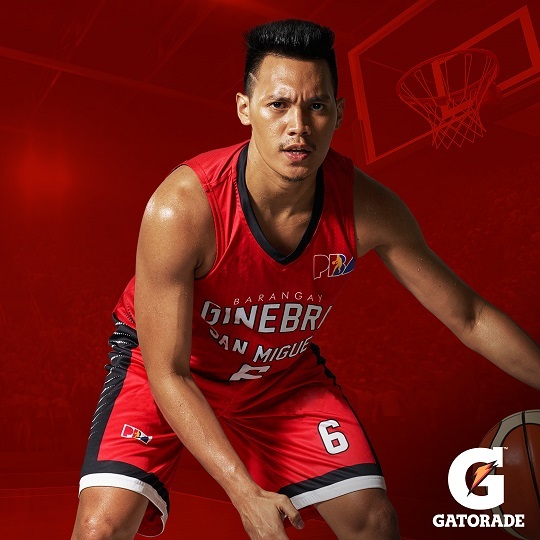 Scottie has demonstrated remarkable athletic talent and elite level skills in his young basketball career... His relentless desire to succeed, on and off the court, is a valuable trait that all our Gatorade ambassadors share. We’re confident that he will inspire young athletes, especially in understanding the value of proper hydration in fueling sports greatness.